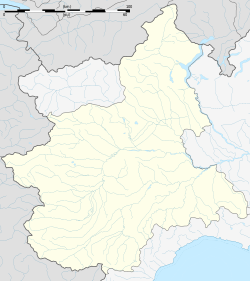 Moriondo Torinese is a comune (municipality) in the Metropolitan City of Turin in the Italian region Piedmont, located about 20 kilometres (12 mi) east of Turin. Moriondo Torinese borders the following municipalities: Moncucco Torinese, Castelnuovo Don Bosco, Mombello di Torino, Buttigliera d'Asti, and Riva presso Chieri. This page was last edited on 22 January 2018, at 18:29 (UTC).